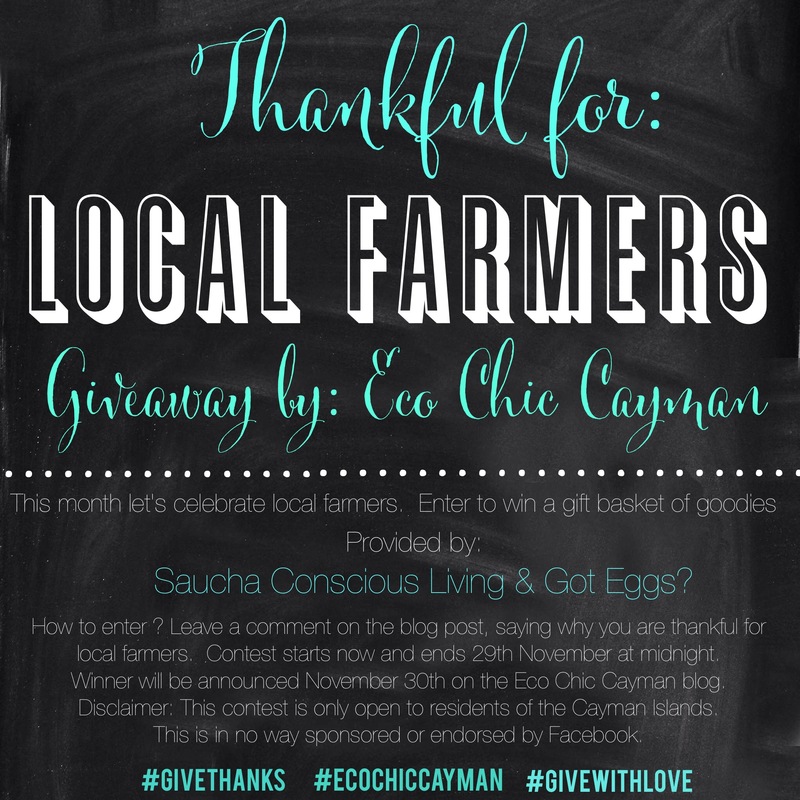 For the first time ever, Eco Chic Cayman is having a giveaway! Yay! 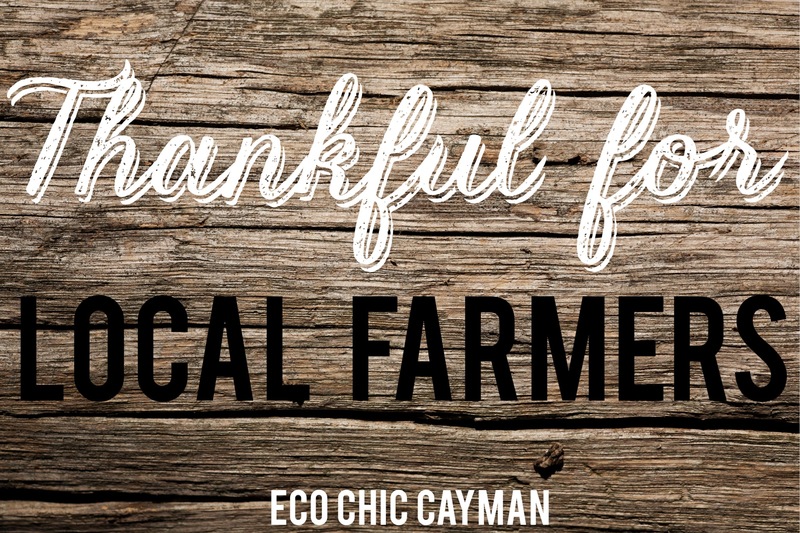 In honor of this months theme “give thanks & give with love” I thought it would be great to honor local farmers. I am excited to announce that Saucha Conscious Living and Got Eggs will be taking part in this giveaway. I am very thankful for their participation and donation of goodies for the gift basket giveaway. What’s in the goodie basket? Donated by Saucha Conscious Living: a 330 ml kombucha, OMG energy bites. So yummy! Donated by Got Eggs: 1 dozen Cayman Farmed Eggs. Great for baking yummy treats. Disclaimer: This giveaway is only open to residents of the Cayman Islands. This contest is in no way sponsored or endorsed by Facebook. i love local farmers – not only do they provide me and my family fresh produce but they offer they chance to educate my children on where nutrient dense food comes from! Thank you to all the farmers! Thank you Jeri. Have a lovely day! Thanks to Local farmers, we get some real fresh veggies and fruits that don’t have perfect looking shapes; you can smell the sunshine and the loving dedication of the person who took care of them and of course, the taste is so much better !!!!! Thank you Camille! Have a lovely day! Thanks to local farmers we get fresh fruits and veggies without losing nutrients from days of transportation and they are delicious! Thanks Blaire! Have a lovely day! Thanks Cas! Have a lovely day!